Like animals, kids are often wild. 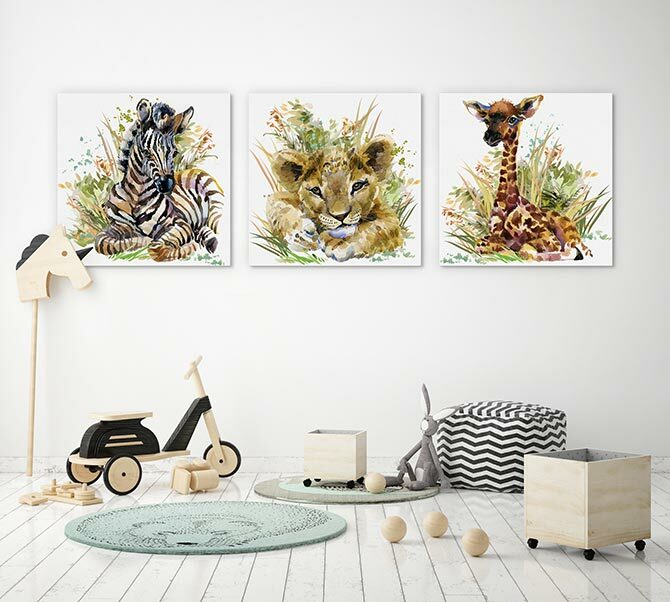 If it’s not noisy or messy enough in your house as it is, why not create your very own zoo? 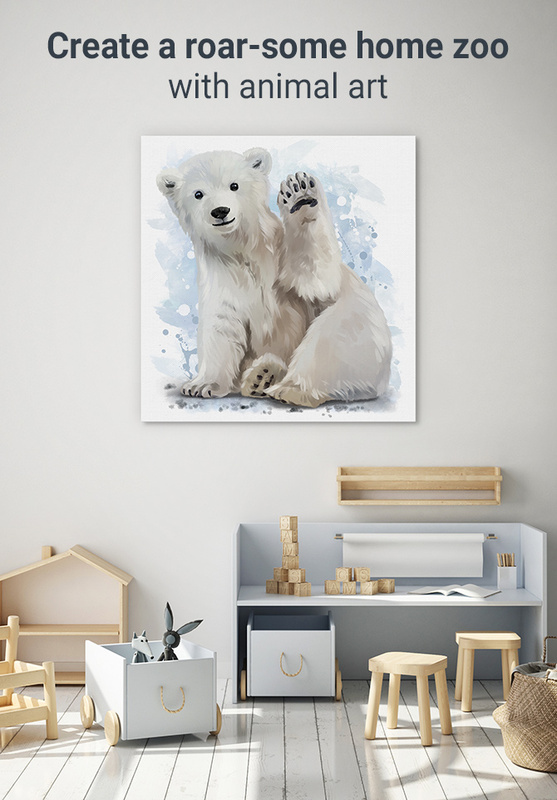 Not a real one, of course, but one that looks great on your wall and matches those oh-so-adorable traits of your kids. 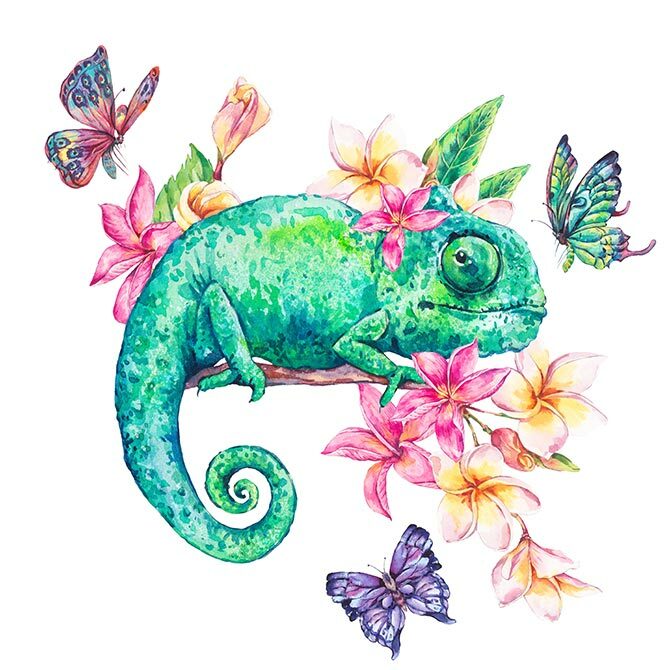 Using animal art is a simple, yet delightful, way to encourage imaginative play and a love for the natural world. What’s more, nurturing a love of animals helps children turn into great adults. 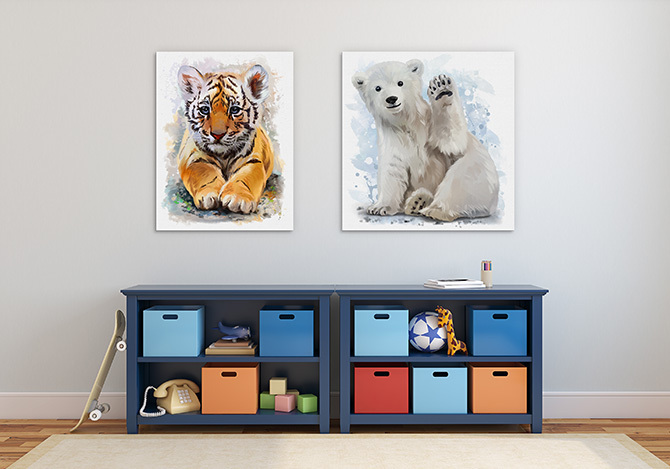 Be inspired by our favourite combinations of animals that play well together (in the form of animal art!) and are enjoyable for both children and adults alike. Who’s the cutest of them all? ‘Zebra Foal In The Grass’ and all her best buddies! 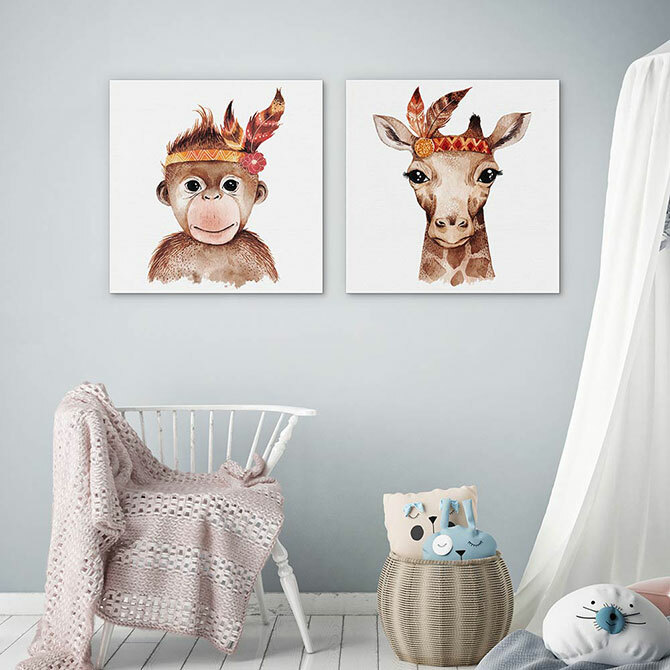 ‘Little Boho Monkey’ and ‘Little Boho Giraffe’ have their eyes on you! Don’t these eyes just melt you? They may look well behaved but when the lights go out there’s a party every night. We should warn you: the monkey likes to eat dirty socks, so be sure to keep them out of sight! 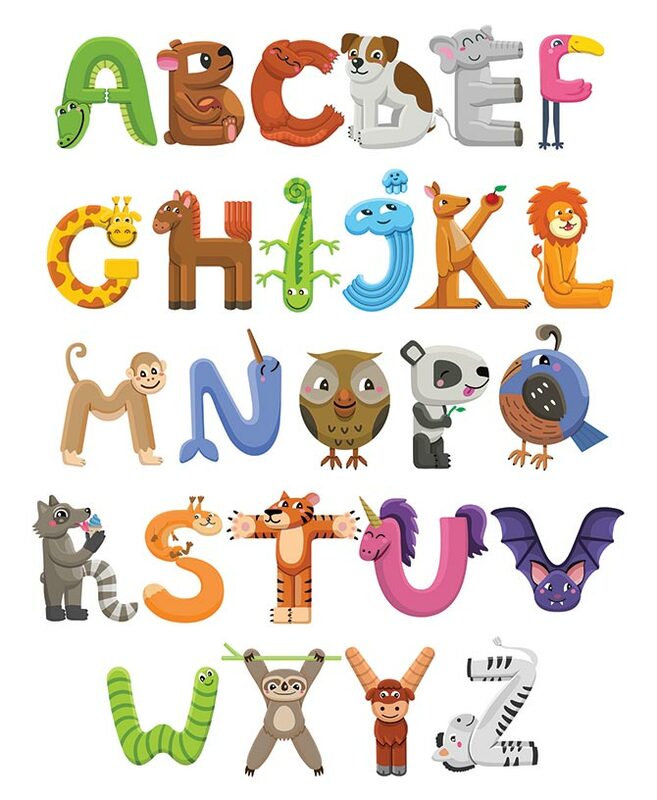 The quickest way to bring a zoo to life in your home is with this adorable ABC print. Learning letters and matching animals has never been more fun! Lions are bold and brave. They will inspire your little ones how to be courageous in any situation. Allow this king of the jungle to watch over your kids whilst they sleep. This adaptable little dude can change to the colour of his surroundings. So warn the kids that he’ll change to the colour of “mess” if they don’t keep their rooms tidy! 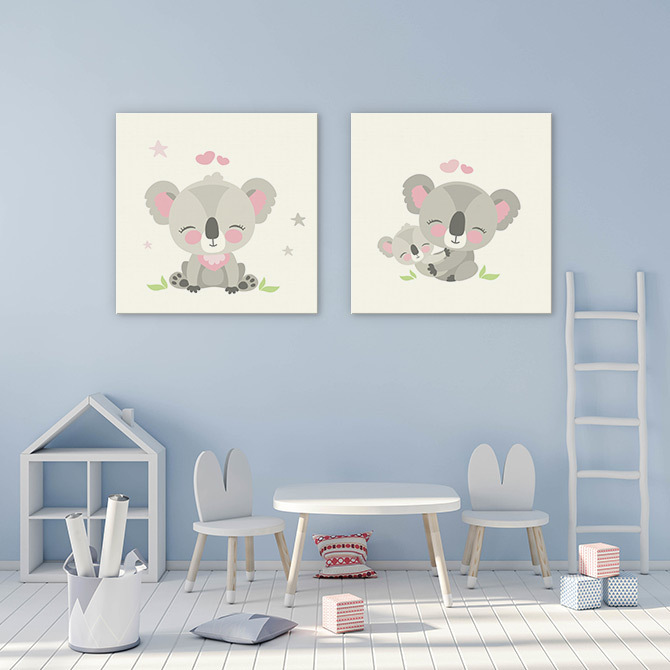 These koala prints will compete for cuteness in your home zoo. Known for their cuddliness, koalas make great zoo animals because they tend to sleep a lot. If only the same could be said for the kids once bedtime rolls around. Just like the dinosaurs, your kids’ incessant demands might go extinct one day too. Right? Hopefully. 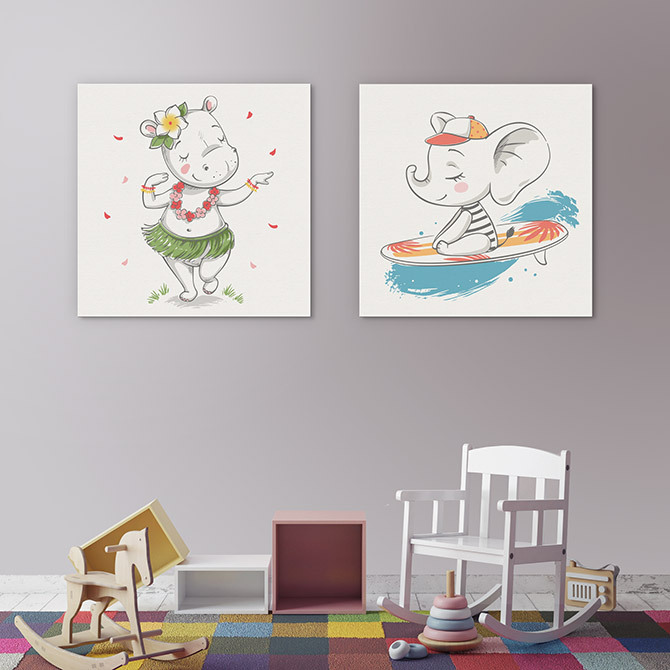 In the meantime, keep your head above water and surround yourself with adorable art for kids. 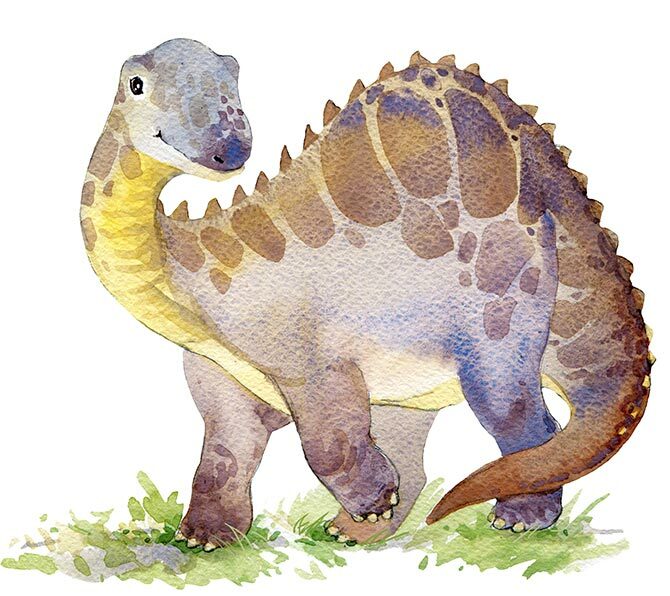 This guy should be called “smiley-saurus”, right? Quality time is the most important thing when it comes to family. 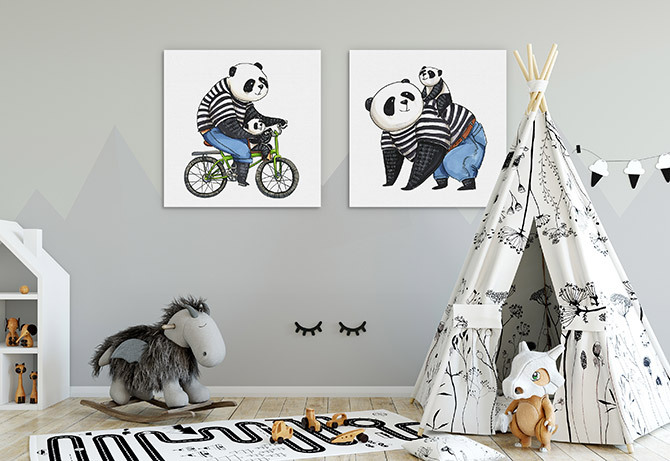 Share in the love of play with the ever popular panda. This adorable pair share a heartwarming moment that you’ll be inspired to recreate time and time again. Is there anything more pleasing than a chilled out kid? How many times have you wanted some peace and quiet so you can catch up on the latest episode of your favourite TV show, podcast or book? Show them the way with this cruisey elephant and hippo for your creature filled sanctuary. Honestly, this animal couldn’t care less. 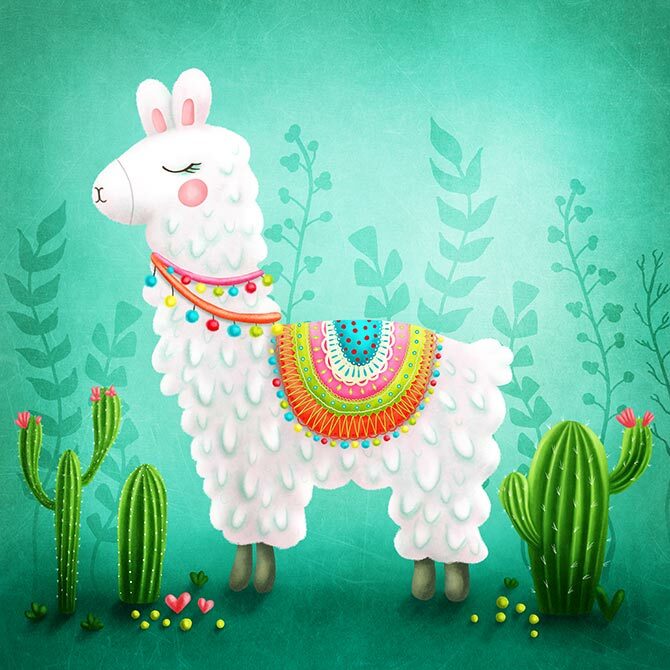 Let the llama lead you to a stress free life where the washing is always done and the wine glass is always full. Ready to start your own home zoo? 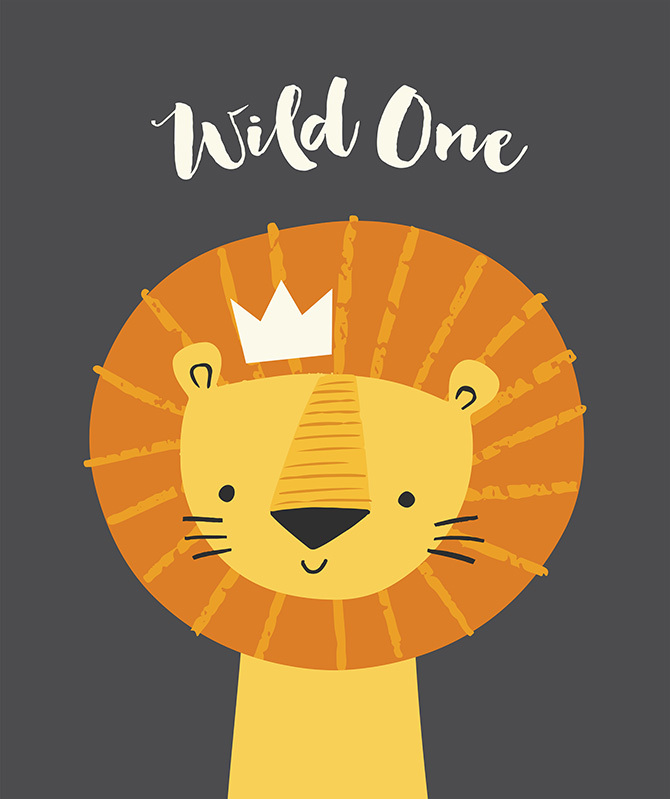 Take a walk on the wild side and explore our full range of colourful and emotive animal art for kids. ← Previous Post: 23 famous landmarks – how many have you seen?